Laurie Gelman’s clever debut novel about a year in the life of a kindergarten class mom—a brilliant send-up of the petty and surprisingly cutthroat terrain of parent politics. Jen Dixon is not your typical Kansas City kindergarten class mom—or mom in general. Jen already has two college-age daughters by two different (probably) musicians, and it’s her second time around the class mom block with five-year-old Max—this time with a husband and father by her side. Though her best friend and PTA President sees her as the “wisest” candidate for the job (or oldest), not all of the other parents agree. Relatable, irreverent, and hilarious in the spirit of Maria Semple, Class Mom is a fresh, welcome voice in fiction—the kind of novel that real moms clamor for, and a vicarious thrill-read for all mothers, who will be laughing as they are liberated by Gelman’s acerbic truths. Laurie Gelman was born and raised in the Great White North. She spent twenty-five years as a broadcaster in both Canada and the United States before trying her hand at writing novels. 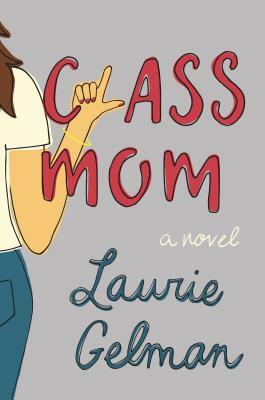 The author of Class Mom, Laurie has appeared on Live With Ryan and Kelly, Watch What Happens Live, and The Talk, among others. She lives in New York City with her husband, Michael Gelman, and two teenage daughters.